May 4, 2011 – audio only. April 14, 2011 - Audio only. March 9, 2011 – audio only. the inclusion of provisions that provide safeguards for the protection of the principal, the agent, and persons who are asked to rely on the agent's authority. Study the laws governing the transfer of judges and exchange of benches in district courts. Review the jurisdiction and qualifications of special judges. Monitor the implementation of legislation by the Supreme Court, Office of Court Administration, and State Bar of Texas to make changes in the courts and make recommendations for any needed improvements. whether fees are earmarked and controlled by the court or deposited into the account of the governmental source providing the court's funding. require more frequent placement review hearings in some or all cases and whether this change would increase permanency and the timeliness of permanency for children who are in the managing conservatorship of the state indefinitely. Study and make recommendations on the recent impact of foreign law, specifically Sharia law, in court decisions in cases arising under the Texas Family Code. 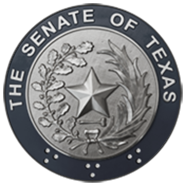 Monitor the implementation of legislation addressed by the Senate Committee on Jurisprudence, 82nd Legislature, Regular and Called Sessions, and make recommendations for any legislation needed to improve, enhance, and/or complete implementation.